Line performance - according to the customer's specifications. Suitable for both large enterprises and mini-production. The composition of the line may vary, depending on technological needs. The capacitive equipment, as part of the line, is equipped with a frame scraper agitator and thermo jacket, due to which a lot of technological processes can be carried out at the installation. 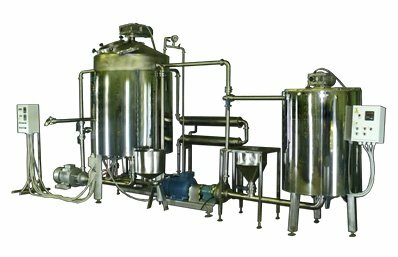 One line can produce a wide range of food emulsions. Delivery on terms EXW (Ex Works) - Ukraine, Kherson, st. Filatov 40. Delivery to any country is possible. For consultation and current prices contact us! Інтер Технолоджі Компані Україна, Київська обл.